Looks like Poopsta has a run for its money! Check out these stylishly decorated poop containers for the modern urban girl with fashion sense! More of teh Awesome. Eliminates Feel – iScoopy Pal™ isolates the hand from contact with dog poop. It exemplifies a light, flexible, ergonomic design customized for the human hand yet sturdy enough for scooping dog waste for Zero touch. Alleviates Sight – Minimizes sight during and after scooping by completely enclosing the dog waste. 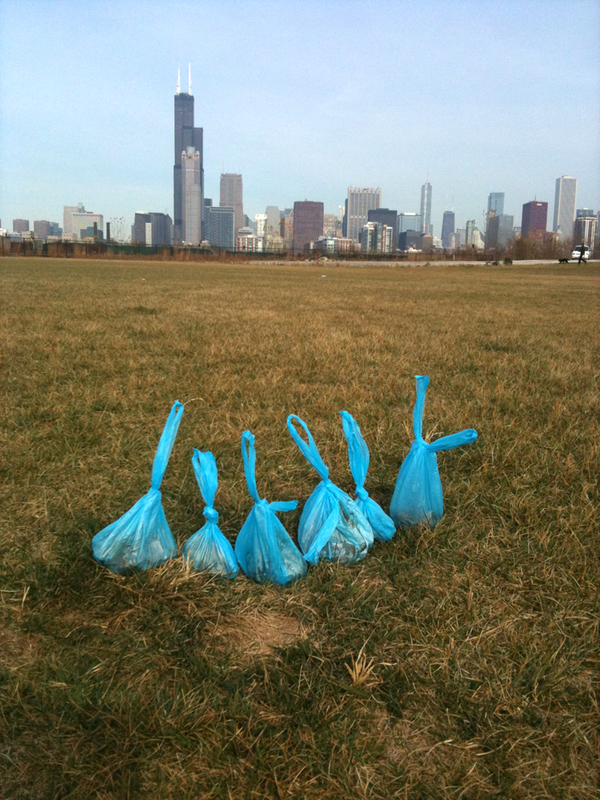 By providing a visual barrier between the dog owner and the waste, iScoopy Pal™ eases an unpleasant responsibility. Manages Smell – Odors stemming from dog excrements are generally unbearable. 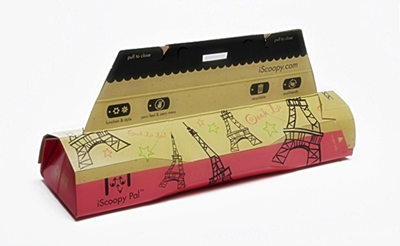 iScoopy Pal™ offers several natural fragranced scents to mask these odors. Enables Effective Scoop – An ergonomic design that eliminates feel, alleviates sight, and manages smell enabling the owner to effectively remove dog poop using a single scooping motion for zero mess. Perfect for the up-and-coming, modern, and stylish South Loop of Chicago!